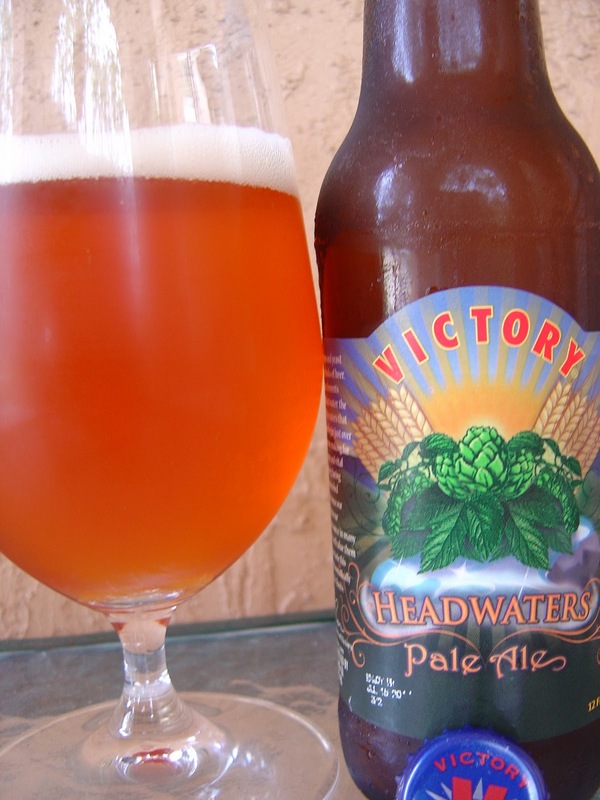 Today I'm drinking Headwaters Pale Ale brewed by Victory Brewing Company in Downingtown, Pennsylvania. The label is simple with the sun rising in the background over a hop bine and wheat field. 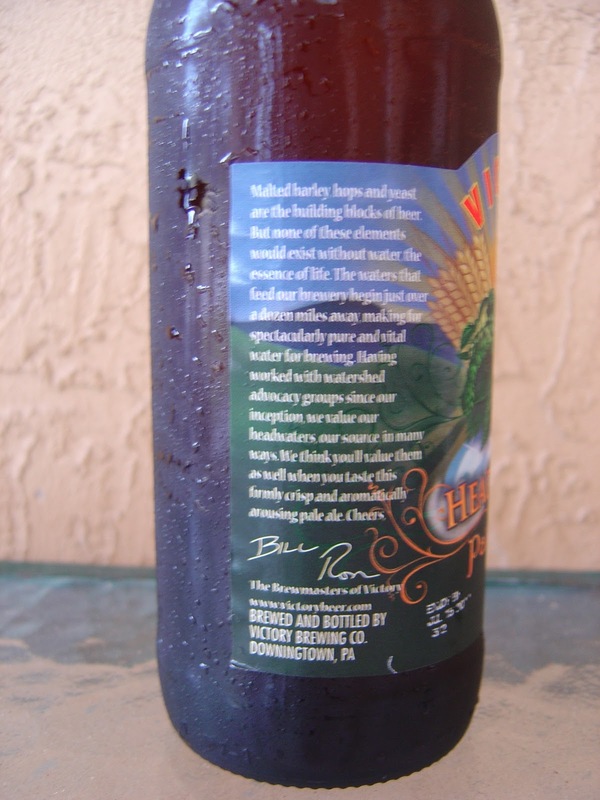 There is a story about the water Victory uses to brew their beer on the side, which also was the inspiration for the beer name. Enjoy by Jul 15 2011. Hoppy, bright, lemony and fresh aroma. Very aromatic and quite lovely! Plenty of lemon and orange citrus zest opens up the flavor profile. Hoppy and flowery, rose petals in the mouth. I love the bitter little nips at my palate. Zing! Zang! Zoom! Spicy with herbal qualities, then more citrus. Clean and refreshing, crisp and cleansing. Excellent bitterness and great carbonation. This was a terrific beer! Very enjoyable and I will definitely be buying some more shortly! Wow! This is readable but is not a quality photo. Sorry about that! It sounds like a good drink. I've never tasted anything from Victory that I didn't like. I've yet to experience this one, but I'm sure that will change soon. No doubt, an excellent beer! I will be buying more and probably selling more to anyone listening on my next trip to Total Wine.